Conservative Wordsmith Susan Baldwin is a popular and respected conservative Internet author and blogger in the blogosphere, known for her honest journalism, scholarly research and womanly wit. She is considered to be a gifted, prolific, and relevant writer by her peers and readers. 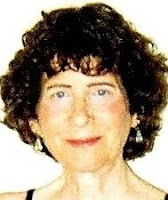 Conservative Wordsmith Susan Baldwin's unique conservative viewpoint prompts her to explore and write about a variety of topics, including news, politics, American culture, values, art, religion, history, poetry, literature, books, movies, and music. I am excited about my new Conservative Wordsmith Official Website! I personally invite you to bookmark my site and become a regular follower.